When Will Amanda Nunes Get the Recognition She Deserves? 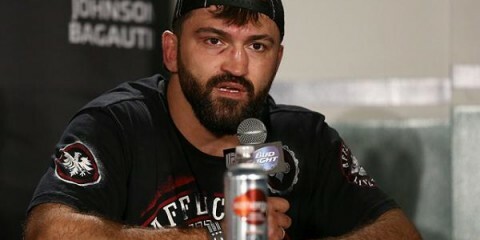 Andrei Arlovski: A Top UFC Contender Once Again? Miesha Tate was not only a great fighter. She also grabbed plenty of fame during her MMA career because of her battles with Ronda Rousey. When Holly Holm head-kicked Rousey, she became the first woman ever to defeat the longtime champion. 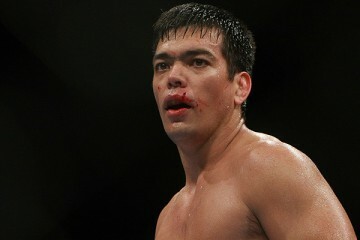 Holm will forever go down in history for that accomplishment. But what about the woman who has defeated both Tate and Rousey? That woman, Amanda Nunes, has yet to get her deserved spotlight although she has won her last three fights, two of which came against legends in the women’s division. 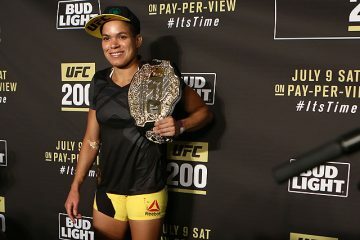 Nunes won the UFC women’s bantamweight title at UFC 200, where she headlined over Brock Lesnar’s return and went on to defeat Tate by first-round submission in just over three minutes of fight time. Following her title win, Nunes played second fiddle while the UFC promoted the return of Rousey, who certainly deserved her shine. That shine went away in under a minute when Rousey returned to the Octagon. It took Nunes just 48 seconds to dismantle the former UFC champ and superstar. So, after defeating two legends in her division and then successfully defending her title against Valentina Shevchenko at UFC 215, what is it going to take for Nunes to get the respect she deserves? That question may be hard to answer. There may not even be an answer. After becoming sick on the day of her fight at UFC 213, Nunes was ripped into by UFC President Dana White. The company head vowed that Nunes would never headline a card again. UFC 224 will mark her second main event since White said those words. 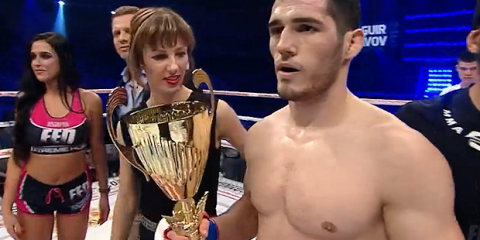 While Nunes didn’t finish Shevchenko, she did notch her second title defense. Yet, still, there seems to be no company support. Now back home in her native Brazil, Nunes is again faced with a challenger and an outside challenge to answer the question of when will she get her deserved spotlight. The answer might lie in the words of one of her coaches, Din Thomas. Speaking to Sirius XM, Thomas said that he believes Nunes will have to get a quick finish in order to really get herself back out there and get some deserved attention. Thomas said that for her career to really get a boost, Nunes needs to go in and get a finish over Raquel Pennington. 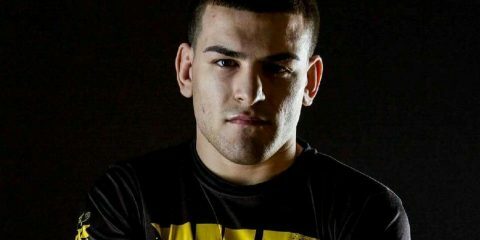 While there is plenty to invest from a marketing standpoint with Nunes and her backstory, Thomas may have hit it on the head when it comes to the spotlight for the champion. The UFC fanbase is certainly a “what have you done for us lately” crew. After missing out on UFC 213 and not getting a finish against Shevchenko, Nunes is left with a simple fix: a finish. It won’t come easy against Pennington, who has been on a roll lately in the UFC, but if Nunes wants her spotlight and the biggest possible fight against Cristiane “Cyborg” Justino, then a quick finish at UFC 224 is a must.